What if…Van Gogh had stayed in England? LONDON – In the Dutch painter’s biography we are all familiar with his period in Arles, his fight with Gauguin, the ear cut, etc. The movie by Vicente Minnelli with Kirk Douglas reinforced that legend. The public in general also knows about his tragic end in Auvers-sur-Oise, doctor Gachet, his experience in the Belgian Borinage region, his wish to convert to Evangelism, and his years in Paris with his brother Théo. But there is one period his admirers know little of, his years in London. Vincent, then 20 years old, arrived in 1873 in the English capital for the gallery Goupil, as an art merchant apprentice. But he never succeeded in that trade. He nevertheless stayed in the city until 1877, with some travelling back and forth to Paris and the Netherlands. He soaked in the English culture, visited the museums, admired Constable, read Dickens with a growing passion, as well as one for the daughter of his lodger in Hackford Road at Covent Garden. Just recently documents concerning him have been found at this address, right in time for this show. The later plays on two facets, showing what nourished him as well as what his British successors such as Bacon borrowed from him. If he had enjoyed life in London he would have married Eugénie Loyer and would have had a peaceful married life that would have avoided so many torments. But it is precisely those torments and the discovery of the French Provence – which he got hooked on – that make him so unique. His misery gives us happiness, which seems to prove once again that good feelings and art don’t always work well together. 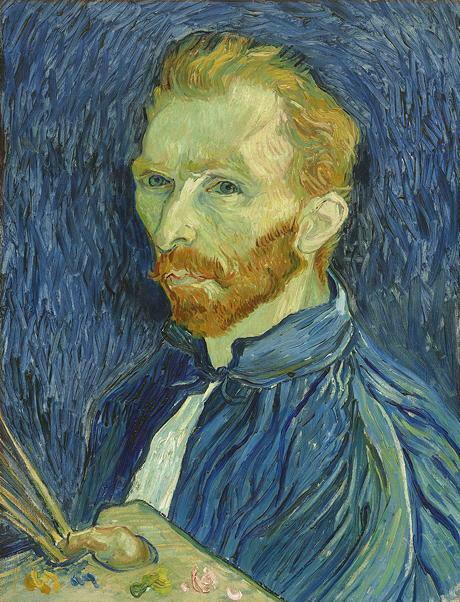 • Van Gogh and Britain at the Tate Britain, from 27 March to 11 August 2019. John William Waterhouse, Circe offering the cup to Ulysses, oil on canvas, 1891, Gallery Oldham © Bridgeman Images. LENS – The ambition presented in the press kit is far from being modest: indeed, the aim of this exhibition, the largest ever dedicated in France to Homer, “is to answer a few questions, such as did Homer exist? When and where did he live”. Jiminy Cricket! Are we really finally going to have the answers which everyone has searched for over centuries, and which various Greek towns like Samos, Chios, Colophon, Smyre or Ithaca have fought over for just as long? And after all, does anyone really want to know? Somehow the myth would lose its mystery, which remains throughout the exhibition. Antique marbles present the characters he made immortal, but with a modern addendum, presenting all the writers and artists who fed and developed on these same myths, from the baroque such as Rubens to the avant-gardes of the XXth century such as Chagall, including the Romantics and the Symbolists. Not to mention music, theatre and of course cinema with the afore mentioned Kirk Douglas, set up as Ulysses by Mario Camerini at the golden era of the peplums. • Homère at the Louvre Lens, from 27 March to 22 July 2019. PARIS – How did artists look at black men and women, and how did mentalities evolve regarding the abolition of slavery (with a first attempt during the French Revolution, eliminated by Napoleon, and finally confirmed in 1848) and what influence did this have? The exhibition aims at answering these questions by taking the viewer through a whole century with Delacroix as well as Manet and Cézanne, up to the pioneers of photography such as Nadar. • Le modèle noir de Géricault à Matisse at the musée d’Orsay, from 26 March to 21 July 2019. It must not be very easy to skip from Steve Jobs and Einstein to Leonardo da Vinci. Grant you, they are all inventors, “disruptors” who have more than one thing in common: their curiosity, their tenacity and their genius. The biographer of the first two dedicated himself to the life of the third. Thanks to the label of “Best-seller of the New York Times” we know it is a serious book, much acclaimed by the general public. While the French translation shows a few flaws (Leonardo lived “his first military experiences in the front row”), the text is pleasant to read, something like an intellectual adventure novel, which was the life of Leonardo, swinging between the fresco of a battle commissioned by the Florentine authorities and the dissection of a one hundred year old man. With over 500 pages, the book of course does not limit itself to Leonardo the artist and it dedicates long developments to his scientific research, which cover as wide an array as the muscles of lips, the movement of water, or one of the problems brought up by Euclid on the right-angled triangle. He worked on it shortly before his death, before writing the final sentence on his notebooks: “Because the soup is getting cold”. A man who gave such a finale to his life must have had something good about him. Let us wait and see what Leonardo di Caprio will do with this in 2020. • Léonard de Vinci, by Walter Isaacson, Quanto publishing house, 2019, 592 p., €29.